Whether you want a reminder of a great moment in your life, or want to see what you missed, you can view recent past events, here. We will include links to each event's photo album on the Quarry Park Flickr feed. There are lots of great breweries around Sacramento, and Placer County Rocks offers a showcase of beer made by those in the Placer County area, along with some great local reggae music performing on the Platinum Living Amphitheater at Quarry Park. 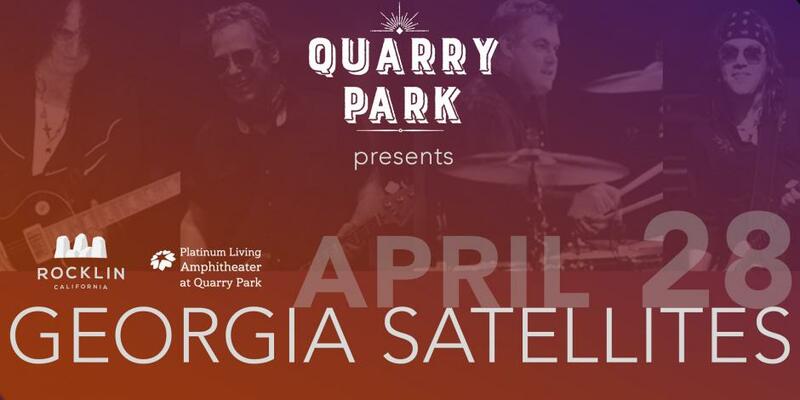 Georgia Satellites LIVE at Quarry Park featuring a special opening show by Alastair Greene! Rocklin’s annual favorite, Hot Chili & Cool Cars, returns to for it’s 24th year on Pacific Street in Rocklin on Saturday, September 16, 2017 from 10:00 a.m. to 3:00 p.m.
Join us for a night of comedy on Sunday, October 1st! 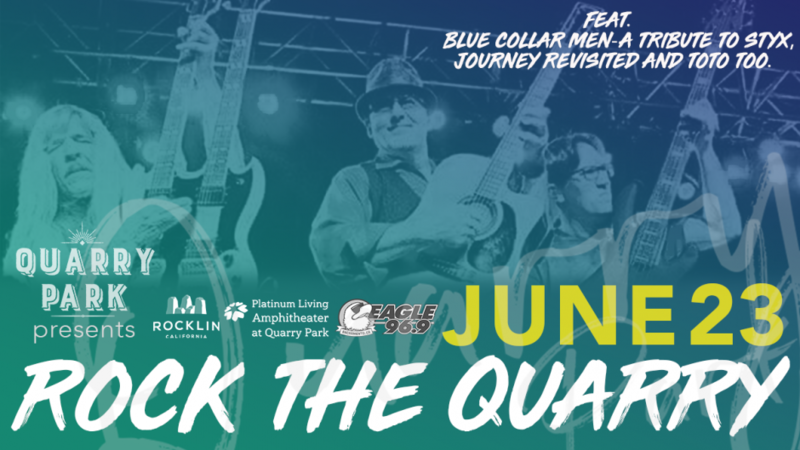 The Platinum Living Amphitheater at Quarry Park will feature Bruce Baum, Blake Clark and your MC – Tom McClain! Bring a blanket and a sense of humor for a great night of entertainment. Attendees must be age 18 and up. 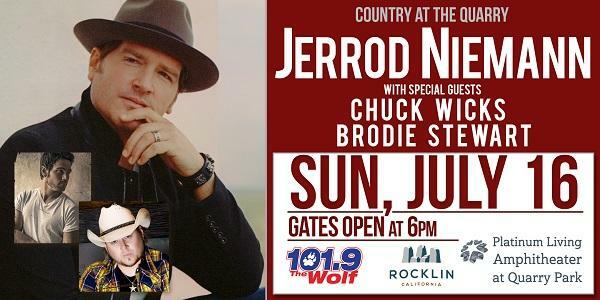 Join us for a great night of country music with Jerrod Niemann at Quarry Park. With Special Guests Chuck Wicks and Brodie Stewart. Join us for a fun, family-friendly evening at Quarry Park with Stairway to Stardom concert! Join us for a fun, family-friendly evening at Quarry Park with Comedy Under the Stars! In partnership with Laughs Unlimited, we will have a hilarious night full of comedy by D. Tyler and Stephen B. with your MC, Carlos Rodriguez! Come join us as we celebrate Jazz Music under the stars. Award winning student musicians take the stage at Rocklin’s beautiful Quarry Park!